KulttuuriKauppila Art Centre provides two residency programmes in Northern Finland for art professionals from all disciplines! 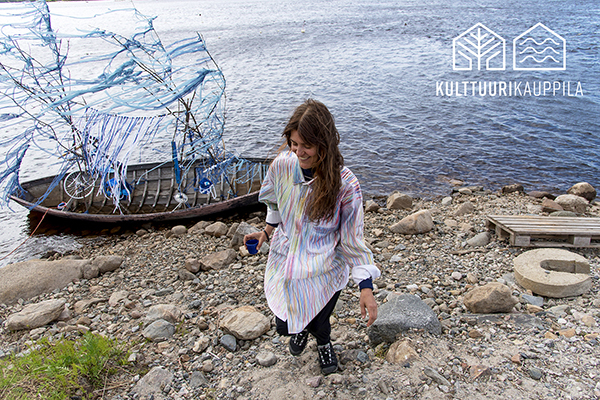 You are welcome to apply to KulttuuriKauppila Artist-in-Residence located in Ii, Finland! We offer two fascinating programmes: KulttuuriKauppila Artist-in-Residence (KK AiR) offers artists time and space to focus on their artistic practice and research. KulttuuriKauppila Artist-in-Community (KK AiC) hosts socially engaged art projects that give artists an opportunity to engage with the community and build co-operation with relevant local actors. The application deadline is 30 April 2019 at 16:00 EEST for residency periods in 2020. Fill in the application form (in English) and attach your CV and portfolio as a PDF. You will also be asked to share your motivation to apply. Prepare a short project plan with one picture. The send button will become available when you have completed all the mandatory fields marked with *. The KulttuuriKauppila jury makes the selection of the residency artists. The selected applicants will be informed personally and the selections will be published on our website and social media channels. The application is submitted via the Artorio curating platform. We take care of your data protection to the fullest extent possible. The data you provide is stored at the Artorio, through which the data can be processed safely. The data is used only to inform you about the selection process, and it is never given to third parties without your consent. For technical support, please contact via the chat window or email us: info@artor.io. Live chat is available from Monday to Friday at 9-17 EEST.